Do you ever look at all your photos and wonder where to even begin? Do you go chronologically, starting at the beginning? Do you try to scrapbook the most recent ones? Do you stick to special events? 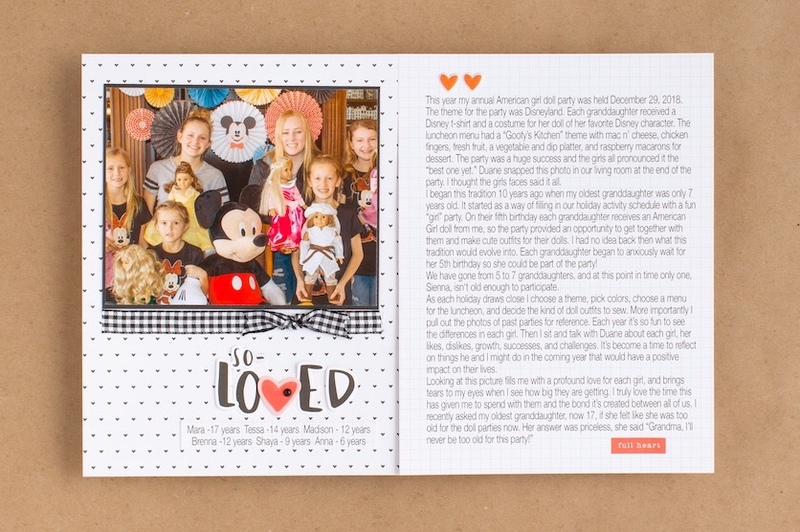 It can be hard to choose, and that’s why we are loving the newest Story by Stacy™ workshop kit, Stories I Love. Stories I Love encourages all of us to focus on the photos and stories we treasure the most. Using just one photo and story at a time, the workbook included in the kit walks you through how to write a personal story exploring all of the layers behind that single photo. With this kit, you’ll have nine photos and stories documented in one special place. Choosing just nine of your most favorite photos for a Stories I Love album might still seem like a daunting task. You definitely don’t have to choose your top nine all at once. You can give yourself time to consider which photos you want to include, but we also have another approach to share with you today. You can use this approach with Stories I Love or apply it to any memory keeping project. Here’s the secret… choose a theme to help you get started. Instead of looking at all your thousands of photos (we’re confident you have that many), help yourself narrow it down by sticking to one theme or subject. Having a few parameters will make it easier to get started. We asked three of the artists from our art studio to consider a Stories I Love album theme that they’d like to use to document stories and photos that are meaningful to them. You can use their ideas below to try this on your own! Remember, these themes are great for a Stories I Love album or you can use them in any size format. Even a 12″ x 12″ themed album can help you narrow your focus and get your memories in a scrapbook. In this type of album, you can gather the stories and photos you love the most from places you’ve been, or you can choose your favorite photos from just one trip. 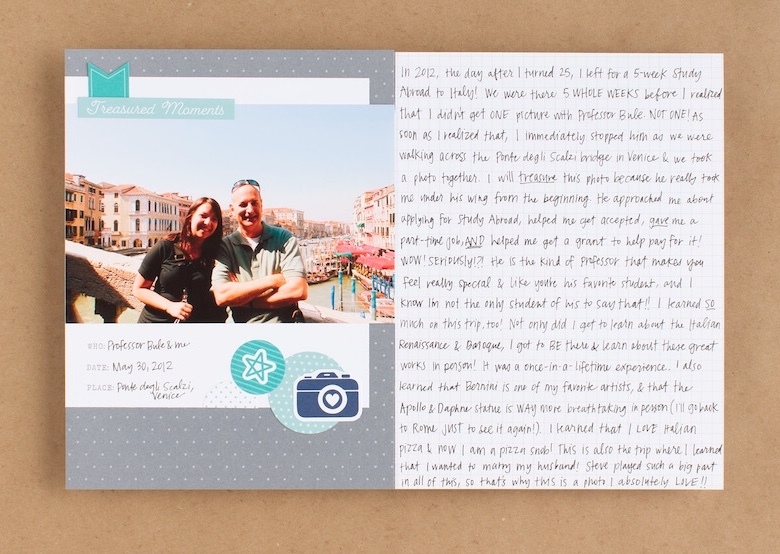 For her travel album, our artist used the pages and stickers included in the Stories I Love workshop kit to document a treasured moment from a study abroad adventure in Italy. The layouts in her album include special photos from other places that she’s traveled, near or far, and the stories that go with them. You can see how she’s used the process outlined in the workbook to draft and even edit her story. This is part of what makes each Story by Stacy™ kit so usable. It takes you through the steps of both writing and creating. It’s ok if your workbook gets messy. It’s there to give you the space you need to draft and adjust the story before you write it on your album page. Another approach is to focus on family traditions. With this Stories I Love layout, our artist has highlighted a photo she loves of her family at Easter, and her story explores some of her favorite family traditions during Easter time. This artist kept her pages simple, letting the story and the black and white photo remain the most important parts of the layout, with stickers and just a few added silver glitter gems. You could use a Stories I Love album for photos about family holiday traditions or even things your family likes to do together. Do you go camping every summer? Do you have special family events that happen at Christmas time? Odds are that for these moments you also have photos of them that are particularly meaningful to you. Use this type of themed album to gather them all in one place. A different way you can theme your album is by focusing on a particular relationship. It could be with a parent, sibling, friend, or child. The photos in the album could highlight fun moments together or things you especially love about that person. For this album, our artist decided to work with photos just of her granddaughters. In her layout, she described one of her favorite things she does with her granddaughters and the special moments she gets to share with them. You can see how she’s added some other paper and embellishments to her pages. They don’t distract from the story and photo but do give her layout a different look. It’s exciting to see how these stories and photos from our artists can come together to create a uniquely themed album for their memories. Just in case you need a few more ideas, here’s a handful of others you can try. Baby album: Haven’t had time to finish your child’s baby album? That’s ok! Choose nine favorite baby photos and use the Stories I Love approach to tell those stories. 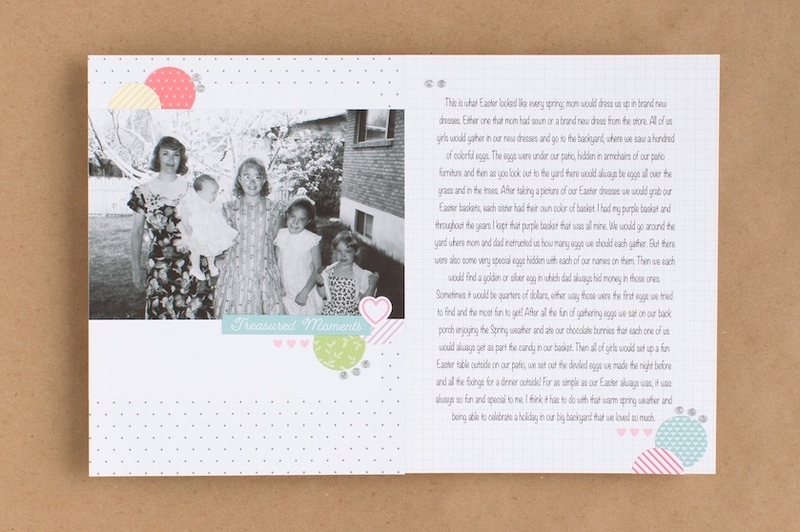 This is an easy way to create a baby book that includes the best moments and stories in your own words. Childhood album: Choose a few stories and photos from your own childhood. 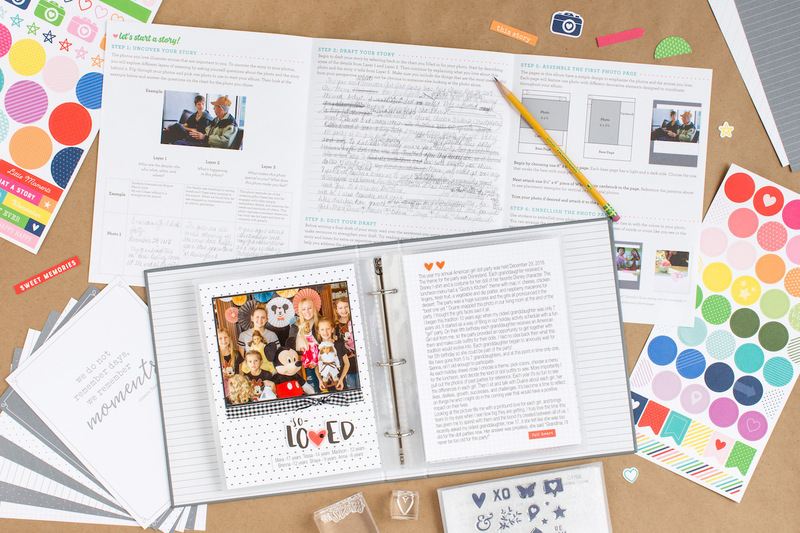 You may not have time to go back and scrapbook every photo, but this way you can gather the stories and photos that you love the most in one place. You’ll be able to write your favorite stories from your growing up years and share them with your family. This is something you could also do with your own kids. Have them choose their favorite photos and help them write the story behind one photo at a time. Not only is this a fun project to do together, but you’ll have a story told from their “kid” perspective. Graduation album: Graduation season will be here soon. A Stories I Love album can be a great way to celebrate your graduate. Share a handful of stories and photos about that person over time. You can highlight moments from their life, big events, or simply what you love about the person they are becoming. This type of album is great to give as a gift to commemorate their special moment. You could do the same type of album for someone that’s retiring or reaching a milestone birthday or anniversary. The most important thing you can do is tell the stories and share the photos that you love. 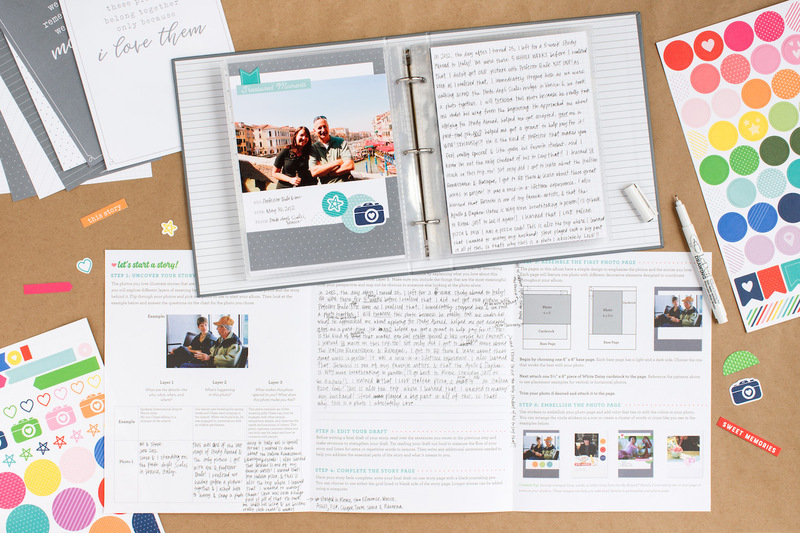 Those are stories that only you can tell, and starting with a theme can help you get rid of distractions or even scrapbook guilt (the guilt that memory keepers sometimes feel when they don’t have time to scrapbook EVERY SINGLE PHOTO). Give yourself permission to start with the ones that are the most important to you. That’s exactly what a Stories I Love album is for. We hope you’re inspired today to give the themed album approach a try, and we’d love to hear what theme you plan to use. Share them with us in the comments below! Great ideas! My first album and favourite album is a Christmas album! I started scrapbooking 25 years ago and my Christmas album is my favourite by far! I just made a Retirement album for my husband. 30-some pages, I had to finished in 10 days. It was hard but like the Graduation album: by Stories I Love, when you have a theme it was easier to finish. I Love Stacy!! !